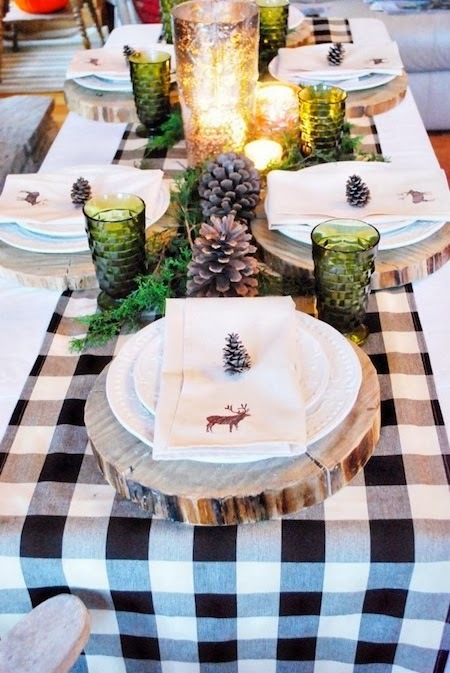 Or just create a festive holiday tablescape for your family and friends. 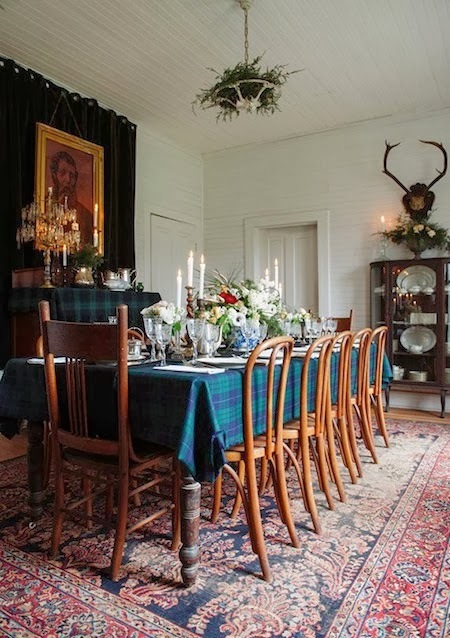 This year at Thanksgiving, though my brother and sister-in-law hosted, I got to set the table with their beautiful crystal glassware, intricate silver flatware and fine china. 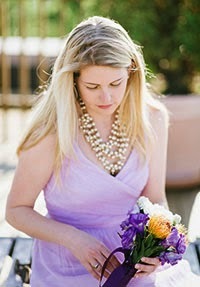 Such a treat! I'm slowly acquiring my own fancy things, like my great-grandmother's silver settings (I still need to look up the pattern) and my lovely new gold flatware. 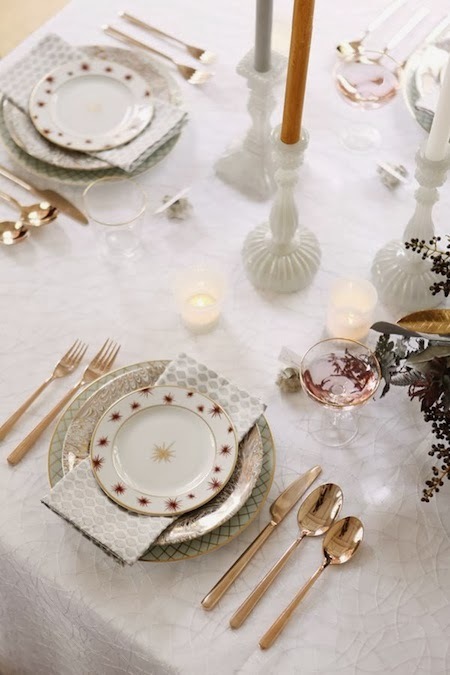 If I was setting the table this Christmas I'd probably mix the antique silver with the gold flatware, use my everyday white dinner plates layered with a decorative salad plate and gorgeous linens. 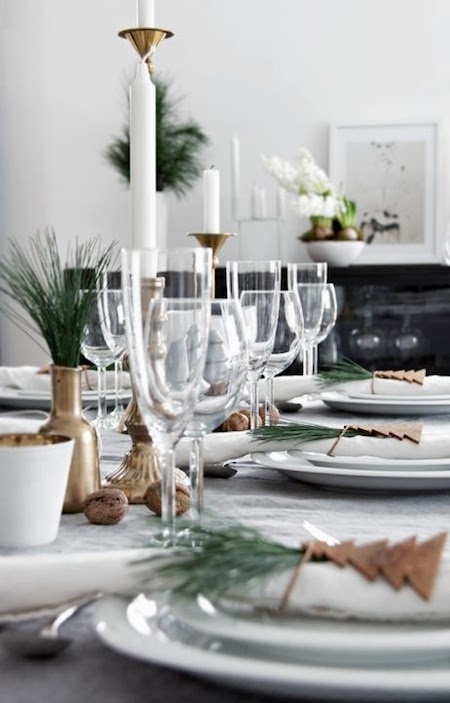 I like the idea of keeping the centerpiece simple, using fresh greenery gold, white or crystal candlesticks and some sparkling ornaments mixed in among the green. 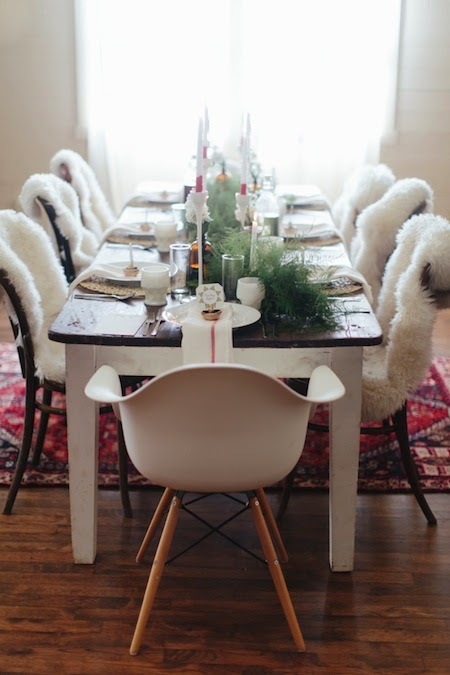 This festive setting by Cassandra of Coco + Kelley is my favorite tablescape of those I've seen this season. Gilded but not over-the-top lovely. 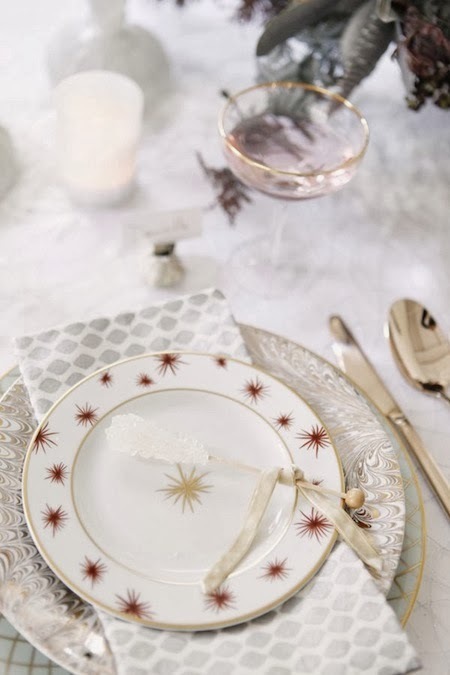 The Etoiles pattern from Bernardaud is beyond everything. 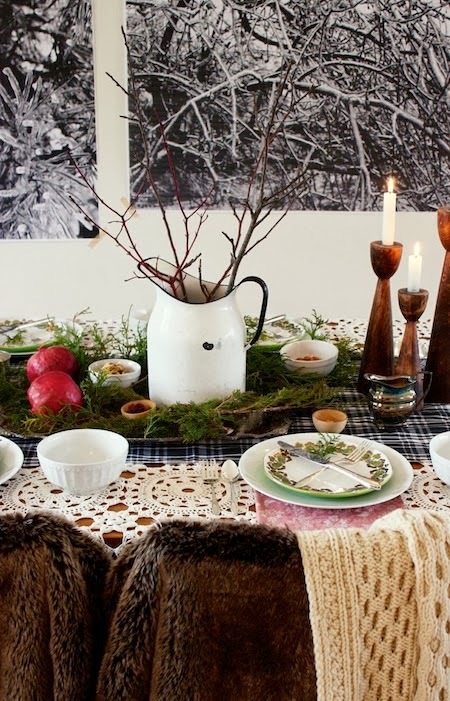 Can you go wrong with Tartan? No. My Scottish blood's word is law. But, my goodness, my clan's tartan is a bit loud. I prefer the green and blue hunting version. You have to love our motto though: I Shine, Not Burn. Oh, those cozy blankets. 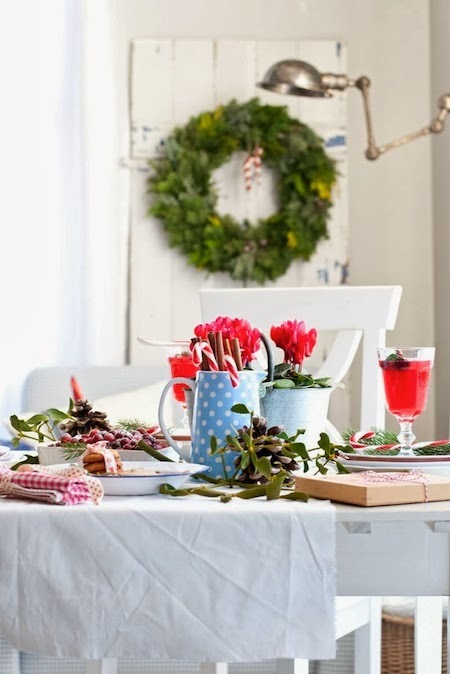 This would be the best place to enjoy a long Christmas breakfast full of laughter or dinner after playing joyfully all afternoon in the snow!